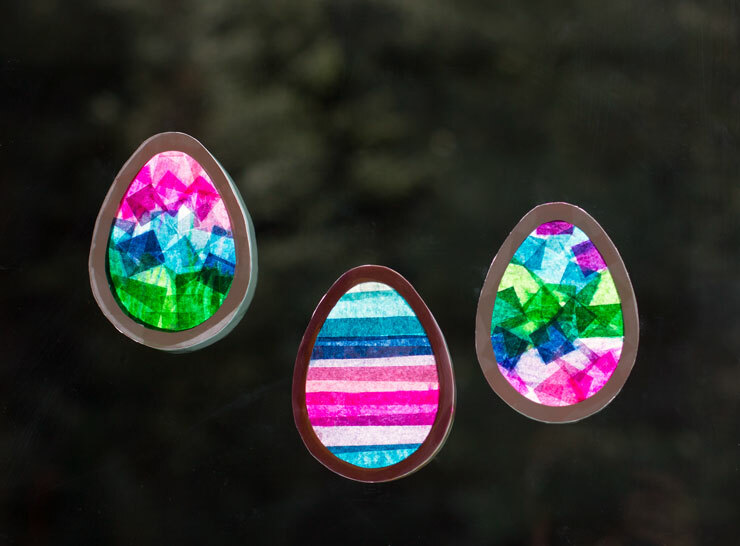 These little gem-like eggs will be bright spots in your home this spring as the sunshine floods through them. 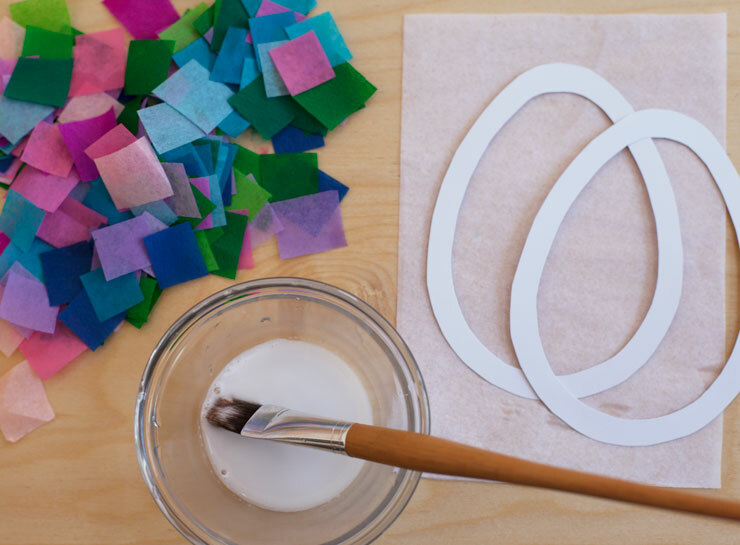 They’re very simple to make—all you’ll need is card stock or heavy paper, glue, a brush and tissue paper. We used our wonderful Art Tissue Paper, which comes in a great range of colors. 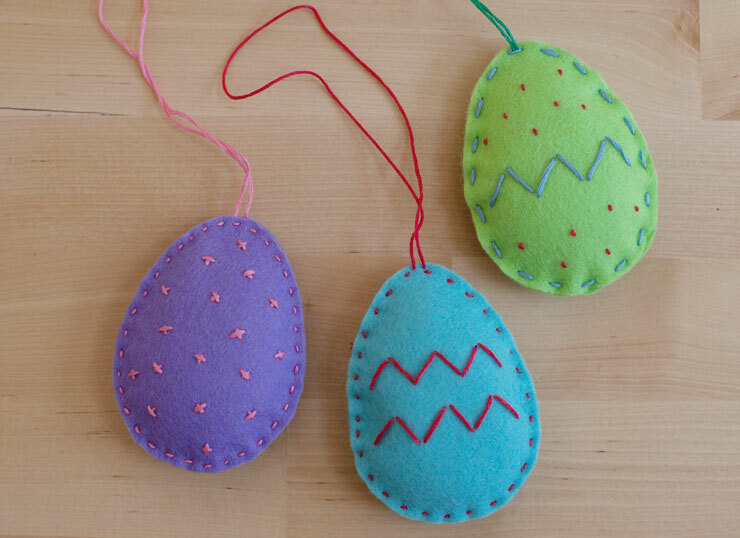 Stitch these sweet, little, felt eggs, filled with batting, and hang them up for Easter! Wool felt is an excellent fabric for kids to practice sewing on; it’s thick and sturdy, and it doesn’t unravel at the edges. It’s also forgiving if you make a mistake and need to take out some stitches. For batting, we used wool here, but bits of quilt batting or even shredded t-shirts can be used. 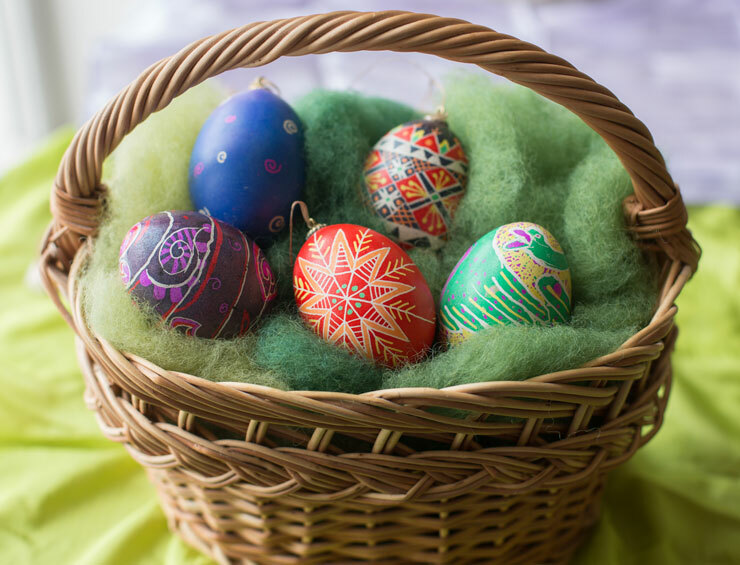 Embellish egg candles with colored wax to create charming and bright Easter decor. 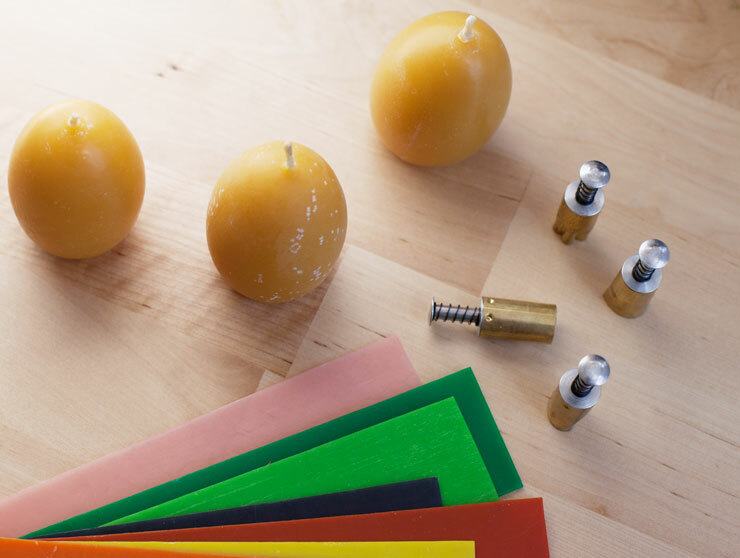 Cutting out simple shapes and sticking them onto candles is an activity that young children can easily master, making the process both fun and rewarding. Let’s get started! What’s more egg-citing than an Easter egg treasure hunt? Take your treasure hunt to the next level by hiding the clues inside of real eggs. When the children find an egg, they have to crack it to retrieve the next clue. Brilliant! It’s easy: follow our instructions for making cascarones. 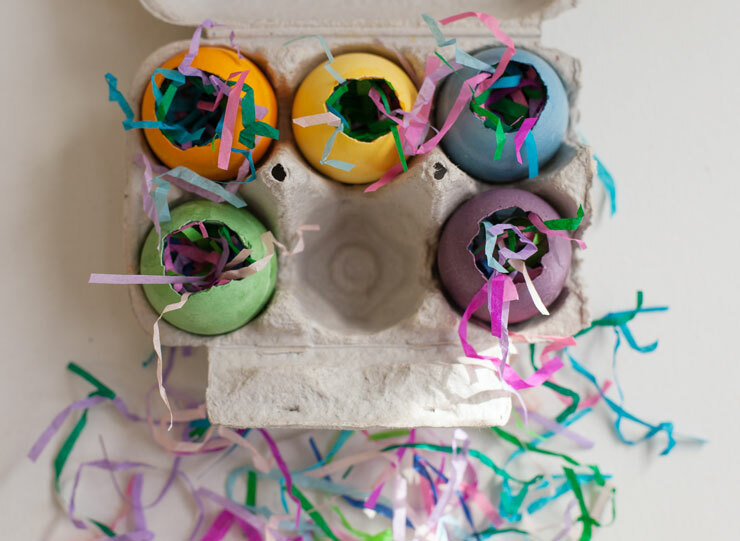 After your eggs are dry, gently tuck in paper clues instead of confetti. Then glue a square of tissue paper over the hole to finish. 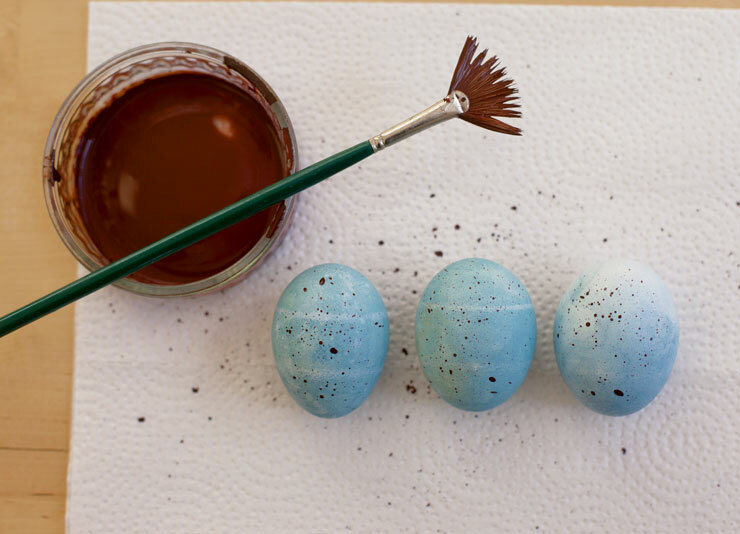 Make these pretty and realistic looking blue speckled eggs with our Natural Egg Dyes and a bit of brown paint. 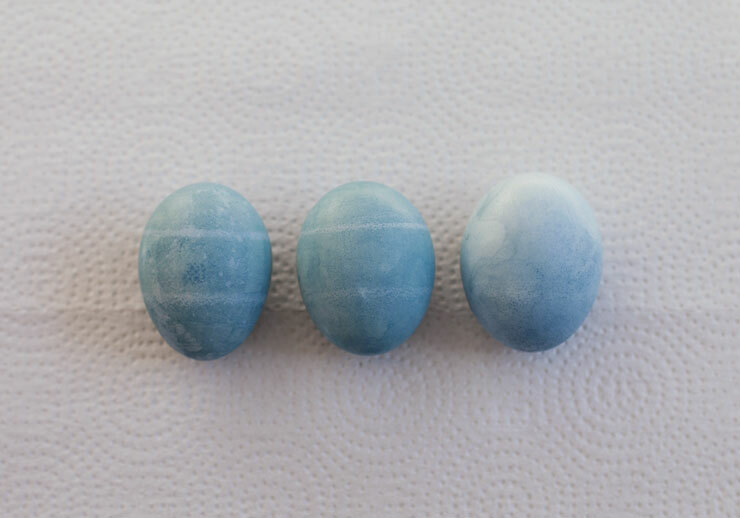 Start by hard boiling your eggs, and then dying them a pale blue (use the blue dye and leave them in for about 5 minutes). Set them aside to dry while you mix the brown paint. 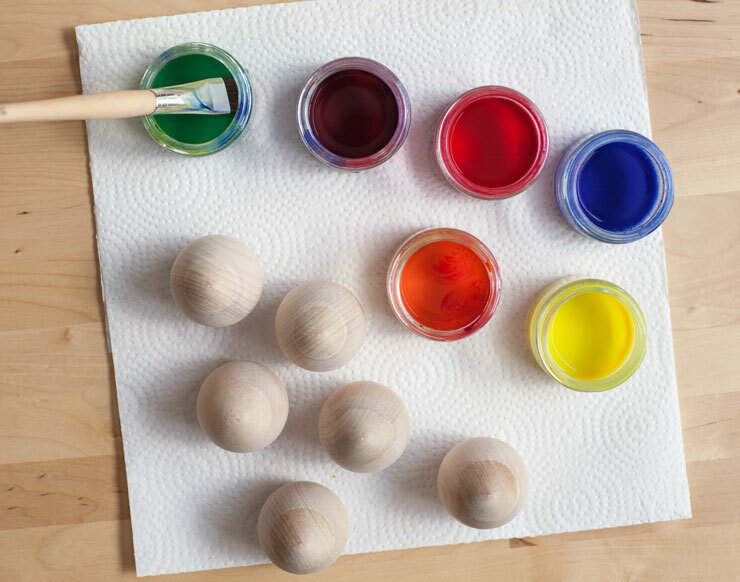 Turn wooden eggs into striking, jewel-toned gems to use as Easter decor or to hide in an Easter egg hunt. 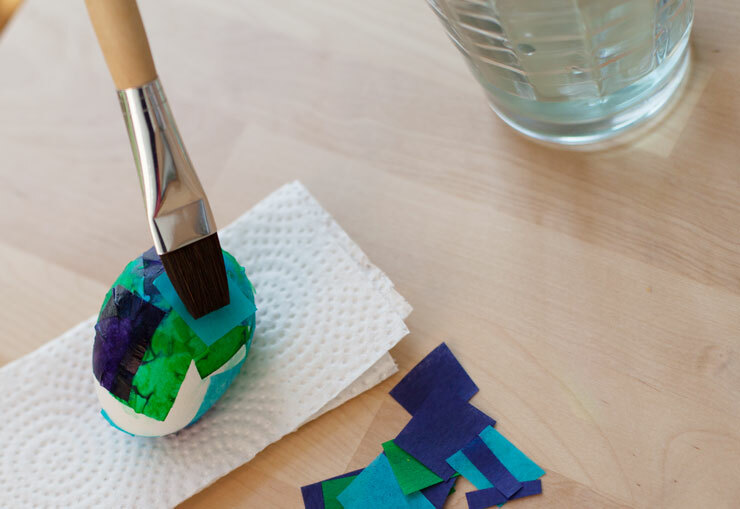 Painting them is an easy and fun activity for kids of all ages, and the eggs can be reused year after year. 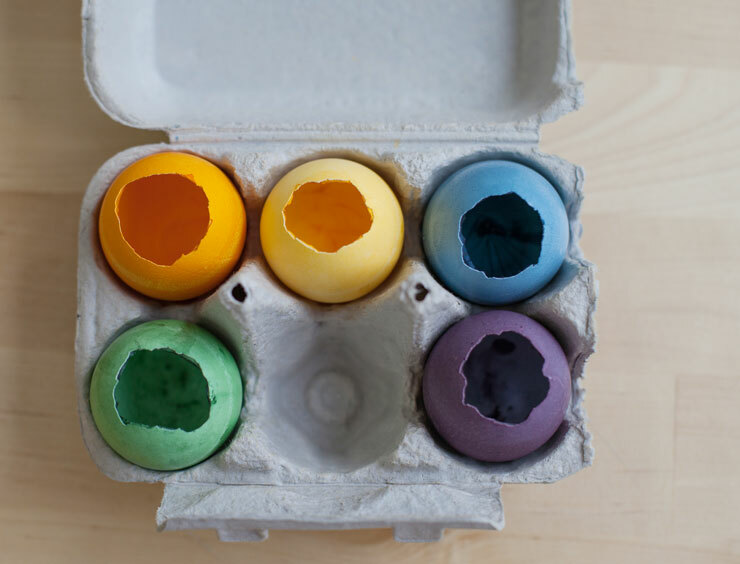 You’ll need Good Eggs, Stockmar Watercolor Paints, and a Paint Brush. To give your eggs a nice sheen, you’ll want some Beeswax Polish. 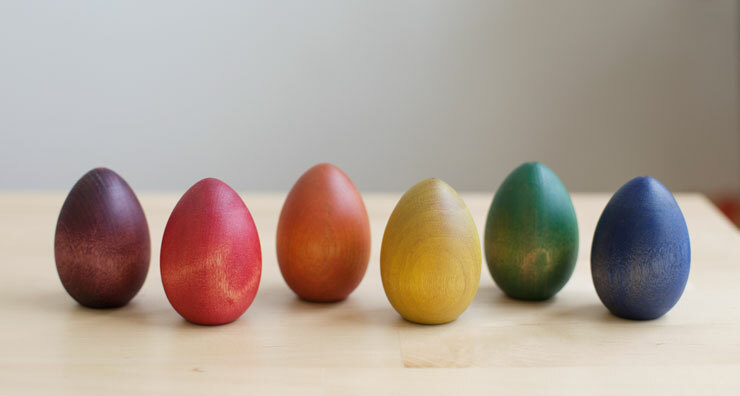 Want to spruce up your Easter eggs this year? 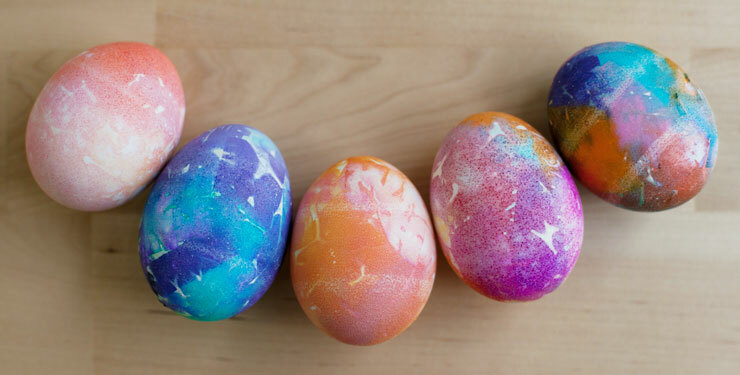 Here are three twists on traditional dyed eggs, all using our Natural Easter Egg Dyes. 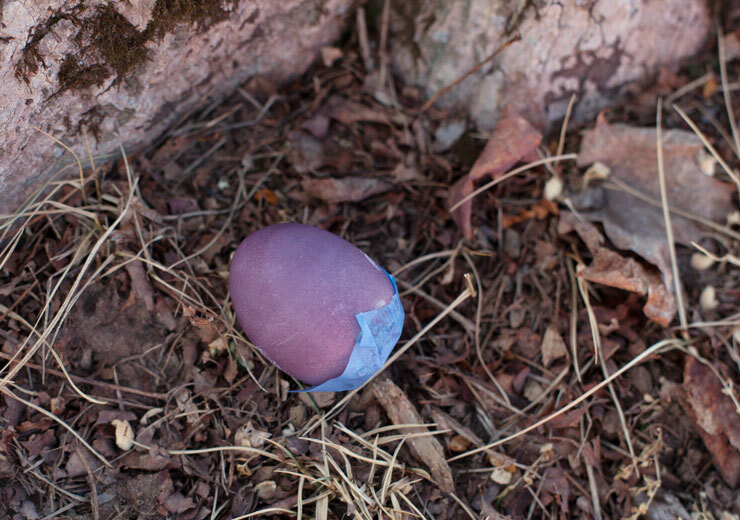 Since the dyes are vegetable-based, you can hunt for your egg and eat it too! These techniques are simple enough for even the youngest children to try. Before you begin, hard-boil your eggs (white eggs will give you the most impressive results).